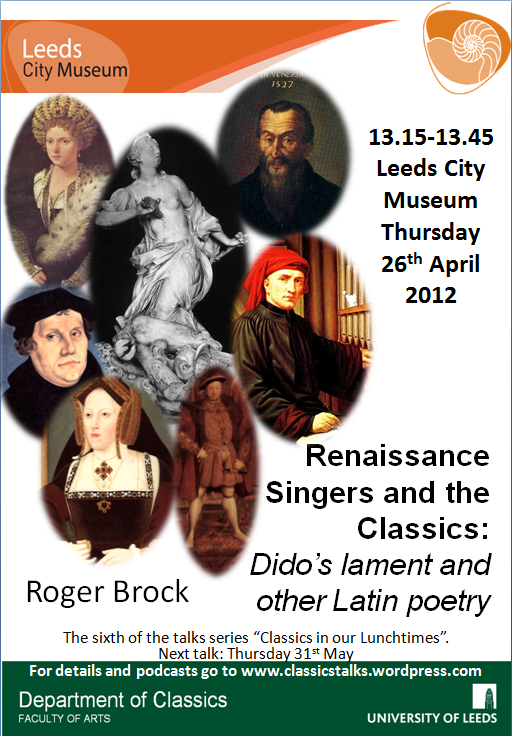 Following a delay, which was entirely my fault (a combination of illness and over-work, not that that’s any excuse really), I’m delighted to post news of the uploading of Roger Brock’s much-appreciated talk that showcased renaissance singing and let the audience hear it. From Purcell to Josquin to Willaert and more, this was a delight for the ear. It focuses on Dido’s lament and is slightly longer than the usual talk, not that anyone minded! 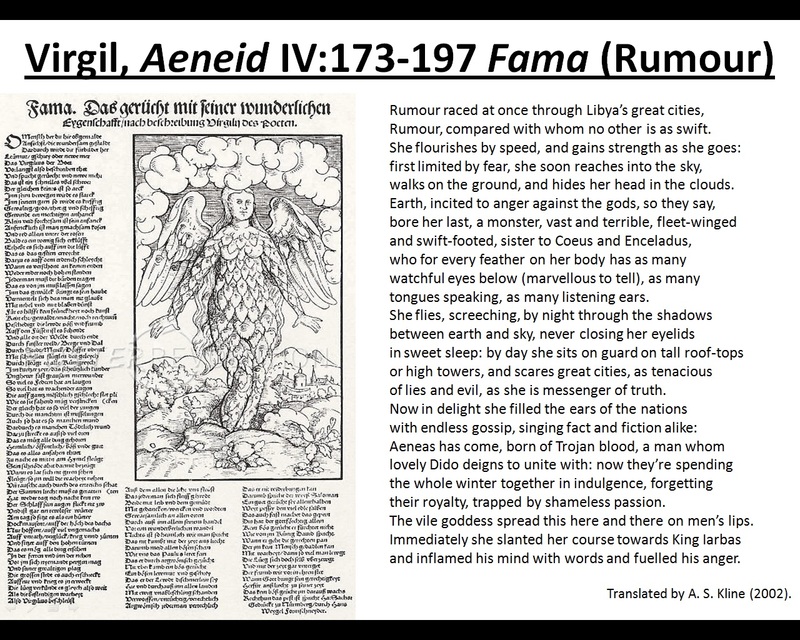 Roger’s research had discovered such a wealth of musical material that it was impossible to include it all, so here is an extra track, referred to in the talk, but unplayed on the day – Fama Malum (Evil Rumour). Find this talk as part of the “Classics in our Lunchtimes” series on the “Museum talks” page.